How would you celebrate your 80th birthday? 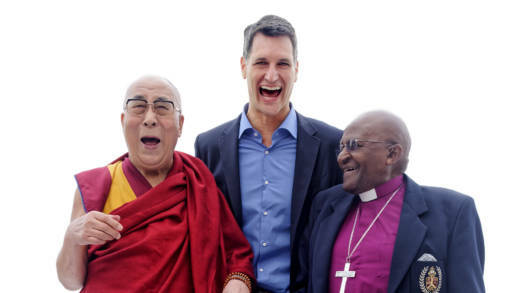 If you're the Dalai Lama, you invite your friend Archbishop Desmond Tutu to your home to talk about joy, peace and the state of the world today. The two spiritual icons met to celebrate the Dalai Lama's birthday with a week of conversations. Doug Abrams moderated the talks and documented them in "The Book of Joy: Lasting Happiness in a Changing World." He joins us this hour to talk about those conversations and why the two men still find reason to be joyful amid unspeakable atrocities.